Airfree Fit 800 Filterless air purifier is maintenance free and totally silent. Fit 800 offers patented Thermodynamic TSS Technology gradually destroys mold, allergens, dust mites, bacteria, viruses, pollens, pet dander, tobacco, ozone and other organic pollutants. It is perfect for mold contaminated areas as well as asthma and allergy sufferers. Daily Deal - We have 1 Airfree Fit800 in its original box as a demo model on our daily deal page. If you'd like to save 20% off, this is the item for you. The Daily Deal items are nonreturnable. Find it here. Covers 180 sq ft. Excellent for small areas like nurseries, bathrooms, playrooms, pantries and more. 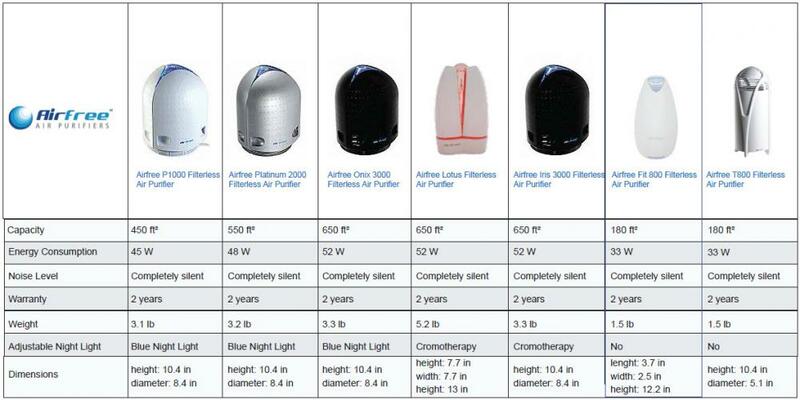 Air Fit 800 air purifier is the best maintenance free and silent air purifier for small spaces. Top air purifier for germs and mold when noise and space can be a concern. Gradually eliminates dust mites, bacteria, fungi, virus, pollen, allergens of domestic animals and other microorganisms from the air. Airfree Filterless Air Purifier: This patented Thermodynamic TSSTM Technology gradually destroys mold, allergens, dust mites, bacteria, viruses, pollens, pet dander, tobacco, ozone and other organic pollutants. It is perfect for mold contaminated areas as well as asthma and allergy sufferers. Airfree’s exclusive technology is completely silent and does not require any filters or maintenance. Just plug it in and let it do the job. Airfree’s awarded design perfectly fits your home decor. The Fit series has small dimensions and beautiful design, offering the same performance and efficiency as other Airfree models. It can be fitted to the wall in any room, saving floor space. ● With exclusive Patented Thermodynamic TSSTM Technology, Airfree applies the same concept as boiling water by using heat to destroy microorganisms and attains 100% efficiency at the Airfree air outlet. 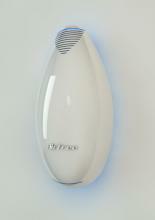 Excellent air purifier for small rooms like the bathroom, pantry, nursery, or closet. Credibility: Airfree technology has been tested and proven by dozens of laboratories worldwide. Besides being efficient and completely silent an air purifier should allow for easy integration with your home decor. It can be fitted to the wall in any room, saving floor space. 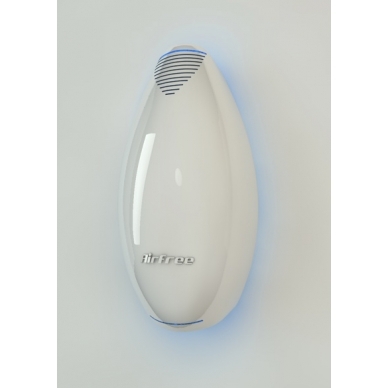 The first prototype Airfree air purifier was developed on the basis of a naturally way of using heat to destroy airborne allergens. After successful testing it at microbiological laboratories, the idea of large ­scale production of the devices began to take shape, so that more families worldwide could be able to enjoy the benefits of a simple, effective concept. After a few adjustments made to improve the technology Airfree was born, marked by the launch of its air purifier range, attractive and modern in design. A ground­breaking brand was on its way to conquering world markets.